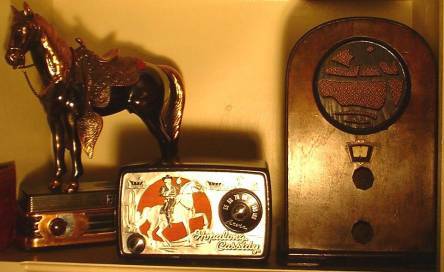 The Arvin model 441-T "Hopalong Cassidy." 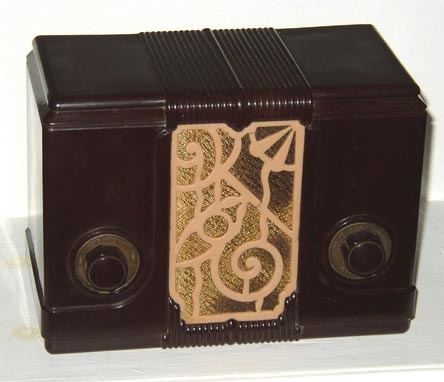 Included are several catalin and novelty radios. 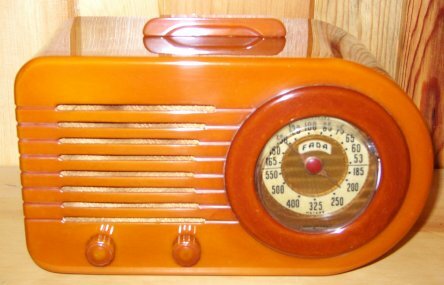 The Crosley model 54 or "New Buddy." 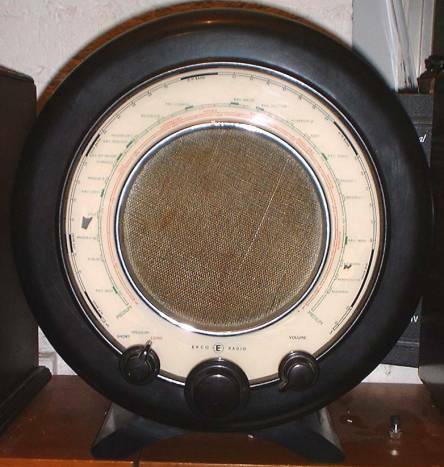 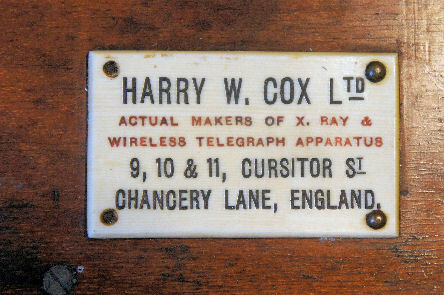 One of the series of round Ekco radios produced in England. 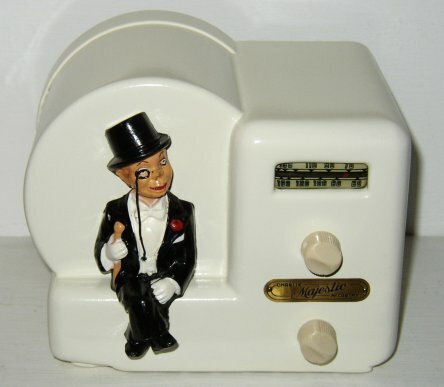 This Emerson is nicknamed the Mae West. 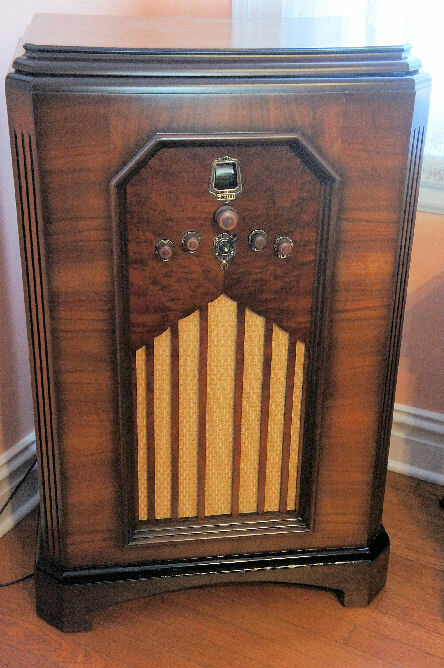 The Jackson Bell #62 cathedral from 1930. 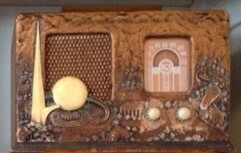 A very deco cathedral from the 1930s. 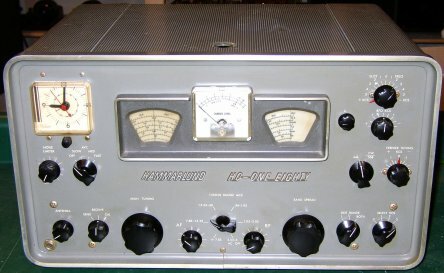 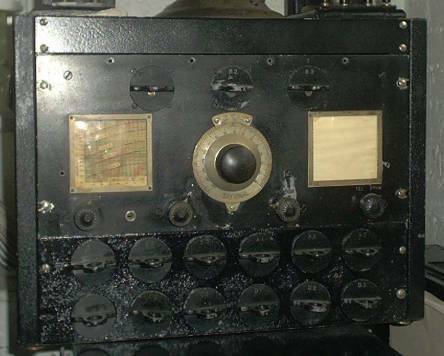 One of the first complete shortwave receivers by National. 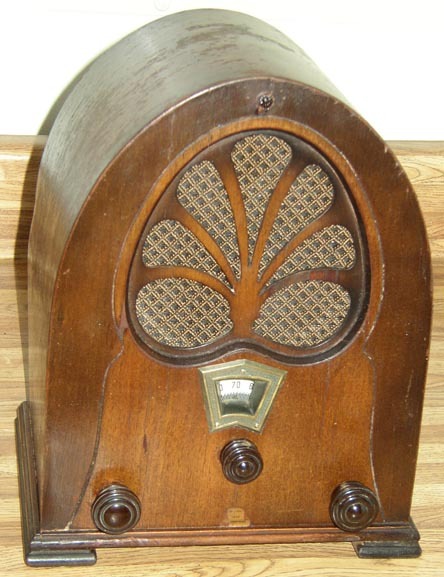 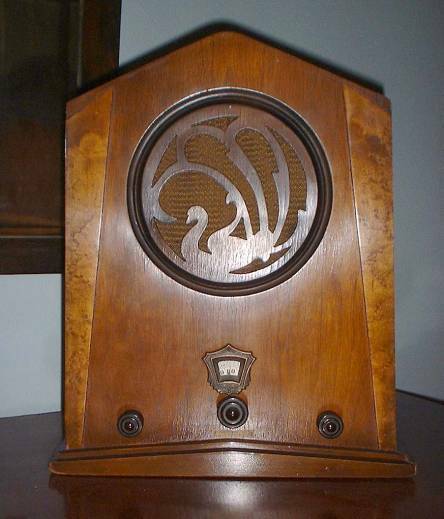 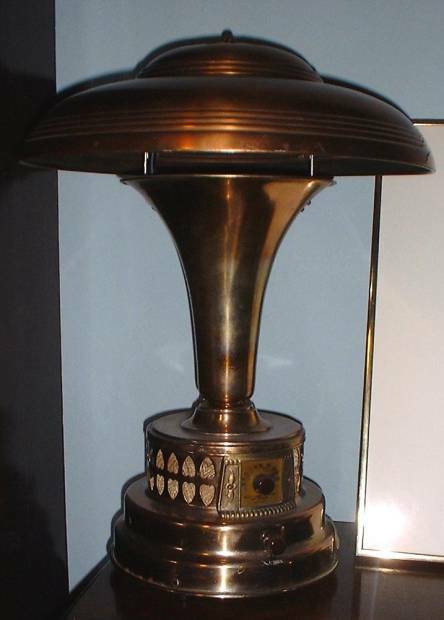 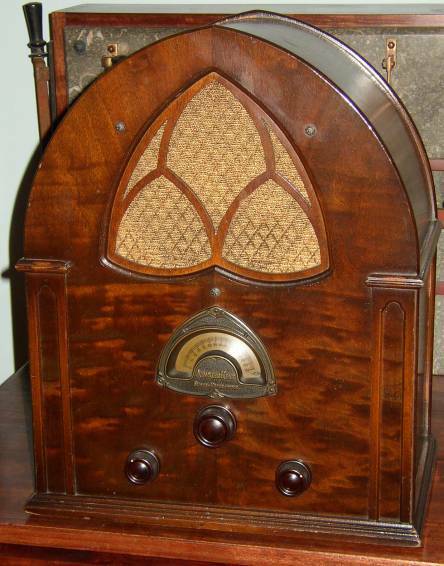 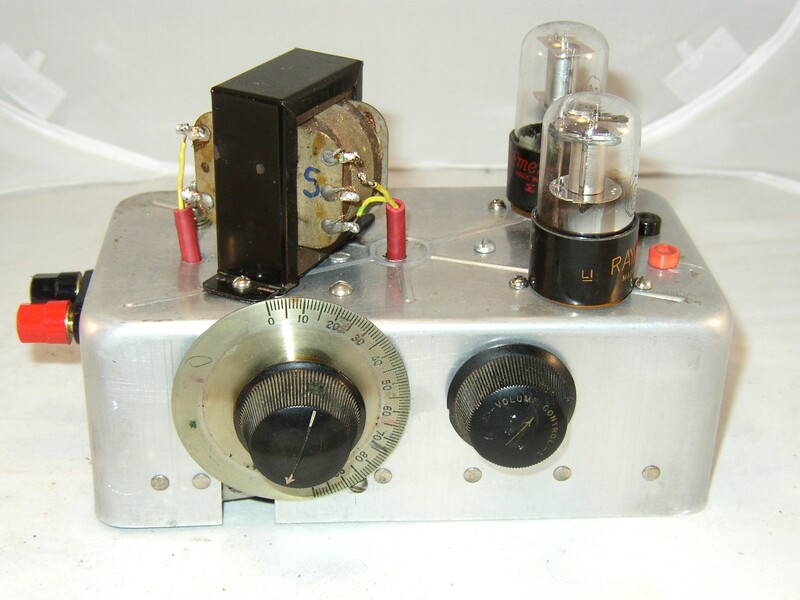 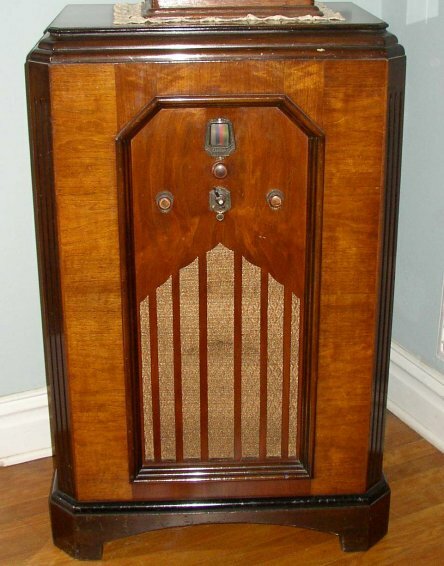 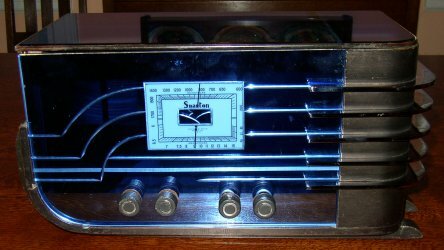 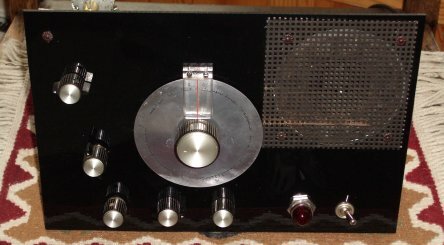 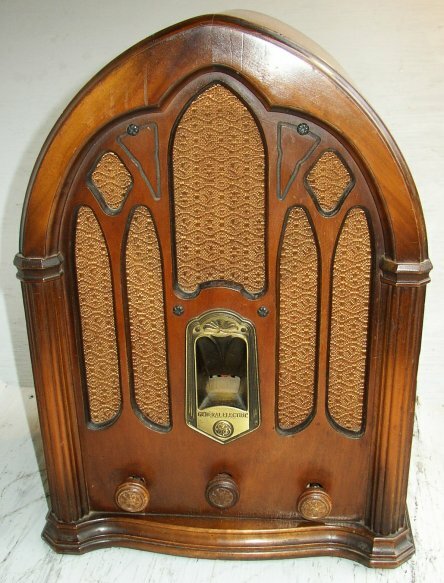 The Pye M78F is a British radio introduced in 1948. 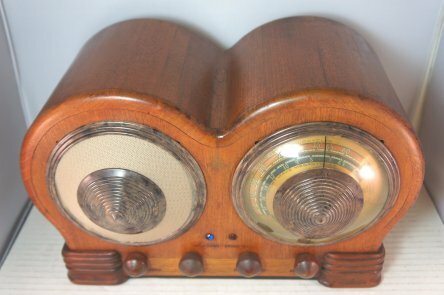 A radio and a lamp. 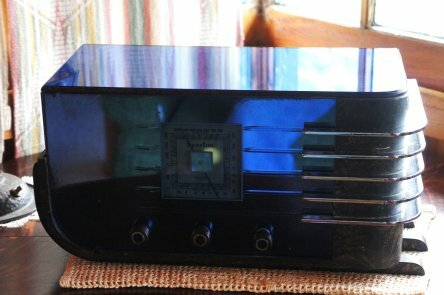 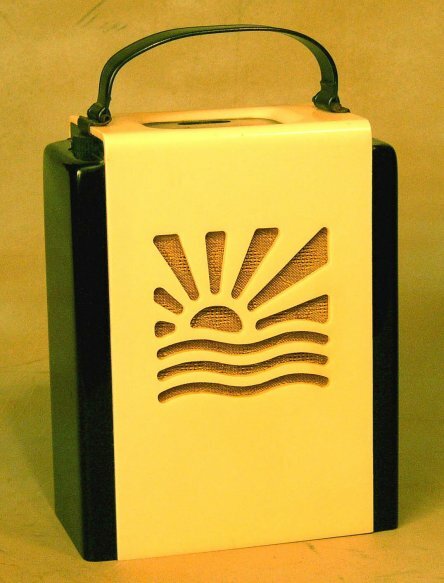 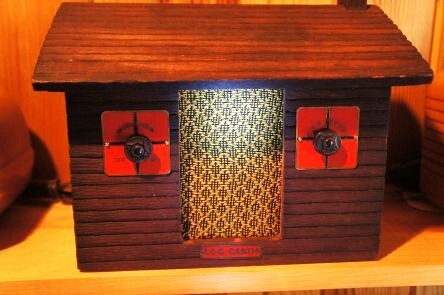 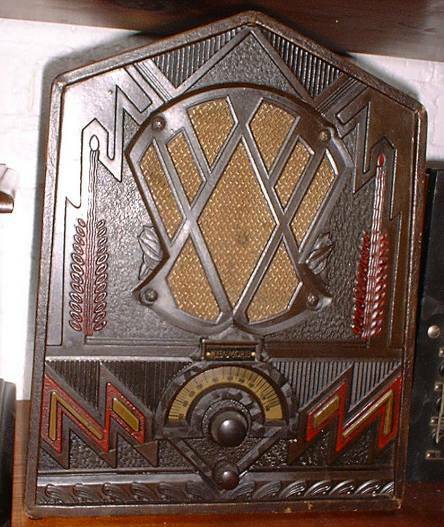 Scott Allwave 23 Tube Radio, Tasman Cabinet. 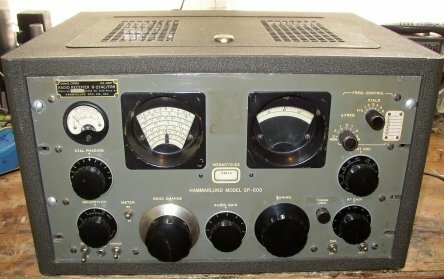 23 Tubes and WORKS. 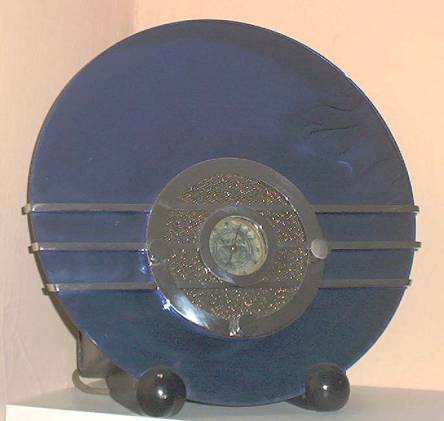 Sparton #566 or "Bluebird" from 1936.